This Thursday, the University of California regents voted to raise tuition by 3.5% for nonresident students. The voting was previously scheduled in late January and later postponed due in part by student backlash. The increase comes to $978 — from $28,014 to $28,992 for the 2018-19 academic year. With a majority of 12 affirmative votes and three who opposed, UC officials state the estimated $35 million the supplemental tuition brings would go towards reducing class sizes and enhancing academic support and counseling. California resident and out-of-state students voiced concerns that the vote undermines the state’s fiscal responsibilities to the UC, and insisted that the Regents lobby legislators for the funding, with the possibility of rescinding the hike on students. Lt. Gov. Gavin Newsom, an ex-officio regent and runner-up in the gubernatorial elections this November, expressed the need for the postponement of Thursday’s vote so that more time could be directed at lobbying efforts to acquire state funding instead. “Once again, we’re letting them off the hook by making a decision prematurely,” Newsom said. Newsom, along with Paul Monge and John A. Pérez, was one of the three who voted against the increase. “Reality has to intrude here,” she said. 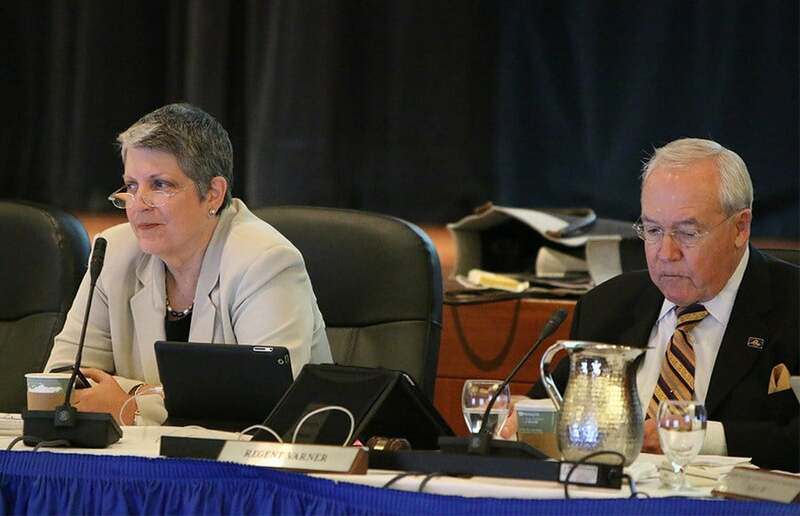 Napolitano urged the regents to not waste time approving of the tuition increase in order for students to determine whether they can afford to attend a UC campus, given that the release of admission decisions are scheduled for the early spring. Dating back from fall 2007 to fall 2017, UC data indicates that the number of nonresident students admitted to UC campuses increase by four times; while Californian students went from 167,900 to 179,530 in contrast. The possibility of raising the base tuition—that of in-state students—would also take a blow at nonresident budgets. Much debate on the contested decisions of tuition increases and the finalized budgetary allocation of state funds is expected to come in the months to follow.